What they say about your memory during menopause is true - your brain decides to go elsewhere. I struggle more now to recall a name, a detail, or directions. It's almost like having "mommy brain" again only you don't get as much sympathy, you don't have little children crawling on you as excuses for your lack of brain function, just hot flashes and drips of sweat. Not as cute. While watching CBS Sunday Morning with my husband Rob there was a segment on people in the Entertainment industry that had passed in 2013. One of my favorite channels is Turner Classic Movies and on the screen was a photo of Joan Fontaine. When she passed in December TCM honored her by featuring her movies (have you seen "Rebecca"? Wow! If you haven't seen it, you should!) and sharing more about her personal life. I learned that her sister is Olivia de Havilland - ("Melanie" from Gone With The Wind among many other movies). I wanted to tell Rob about this little bit of info. when another celebrity's photo was placed on the screen, Paul Walker. ("The Fast and The Furious" fame). That put my mind onto some information I learned about him. Paul Walker was the founder of humanitarian aid team Reach Out World Wide - an organization that provides aid to the 2010 earthquake victims in Haiti. He acquired the funds to provide planes for medical staff to reach the victims, and provide medicine and food for the victims. This is amazing stuff! Paul Walker's picture goes away and I turn to Rob and say 'So, about um...' and I blank on his name. *blink* blink* I quickly decide to jump to what I learned about Joan Fontaine - or was it Lana Turner? - to cover my tracks. Yes, it was Joan Fontaine. OK. I start telling Rob who her sister is, she was in Gone With The Wind. Or, was it Wizard of Oz? I'm so flustered because I'm also trying like hell to remember that guys name who's done this amazing thing for the victims of Haiti. Or, it is Japan? I'm kickin' up my mental games on Lumosity.com and increasing my Omega-3's. And continue to be grateful for a patient husband. How about you? 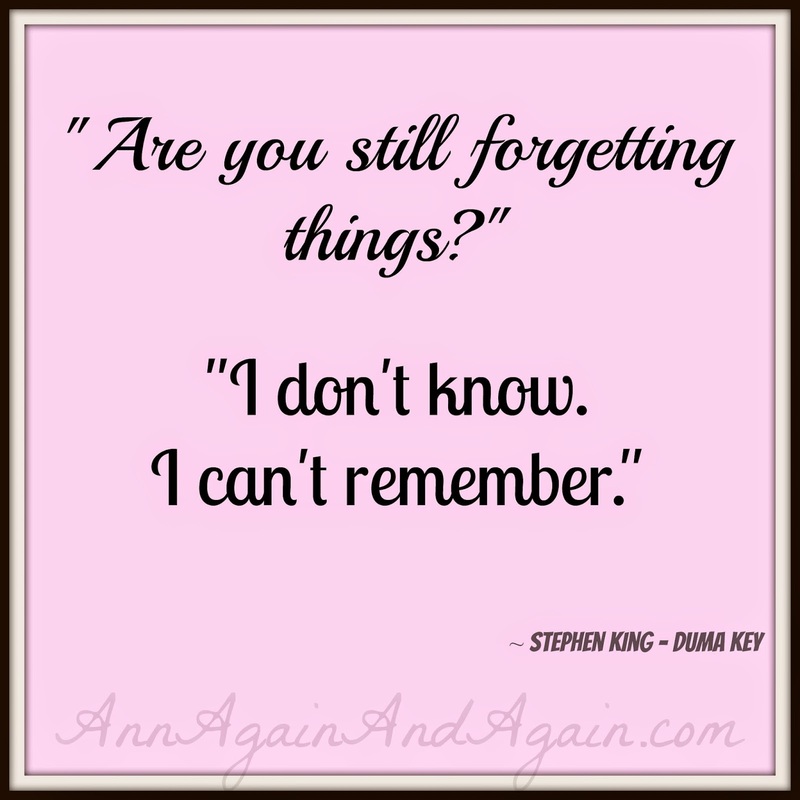 How's your memory doin' these days? Do tell! That is, if you can remember.